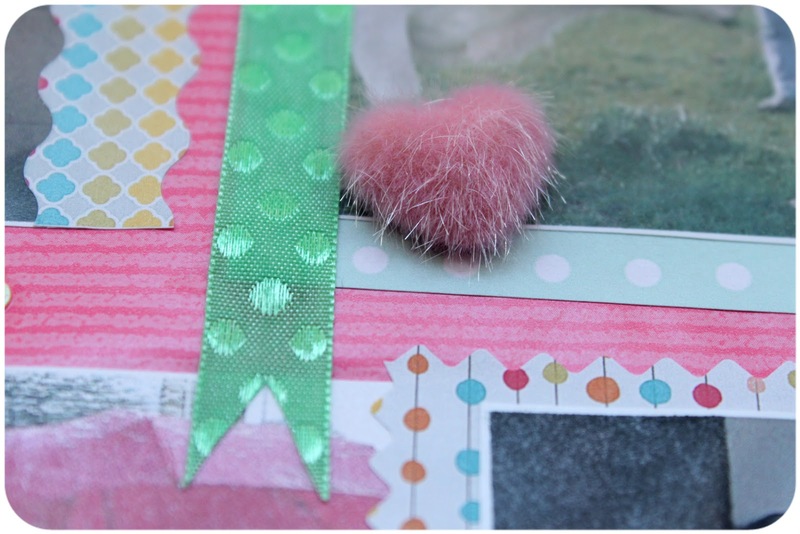 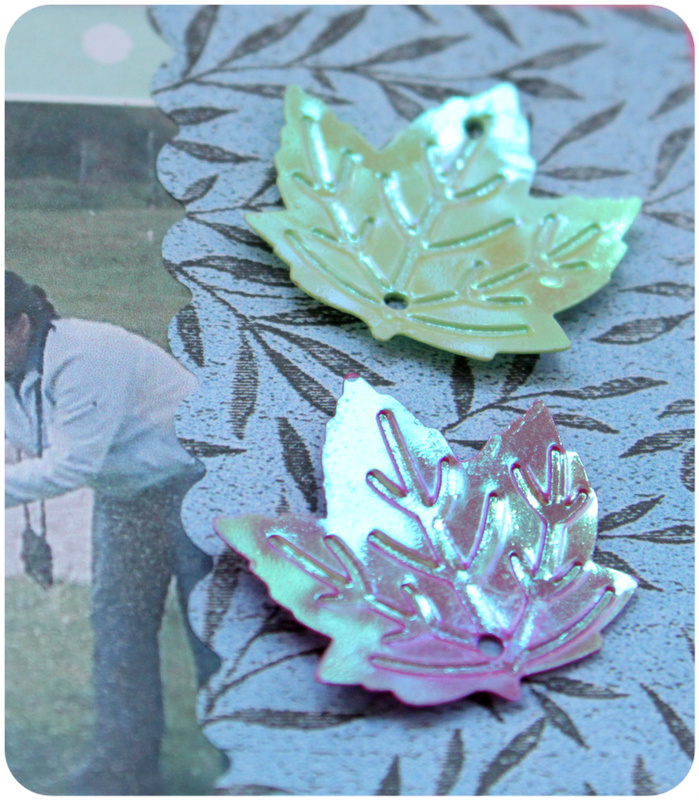 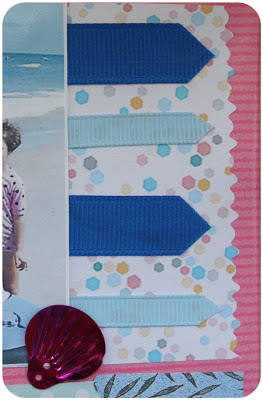 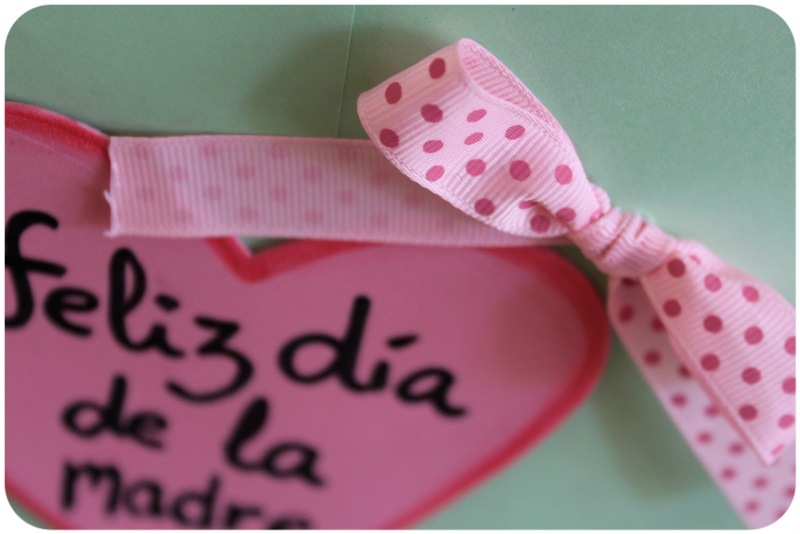 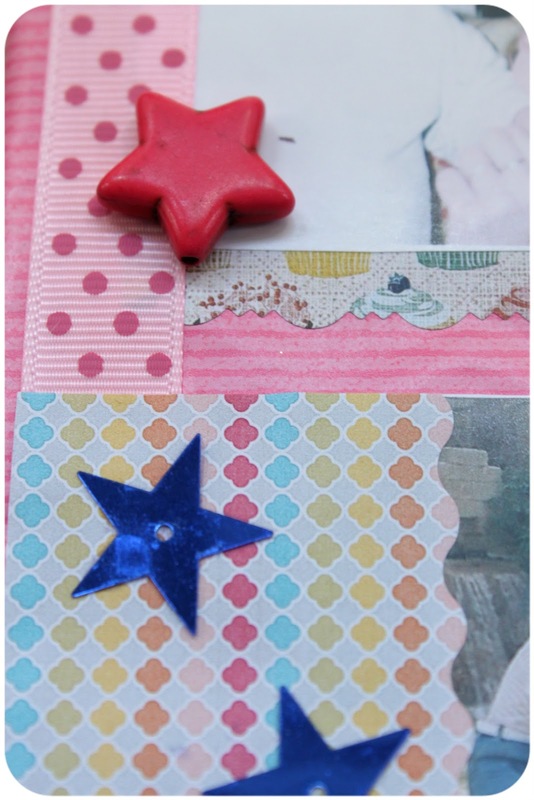 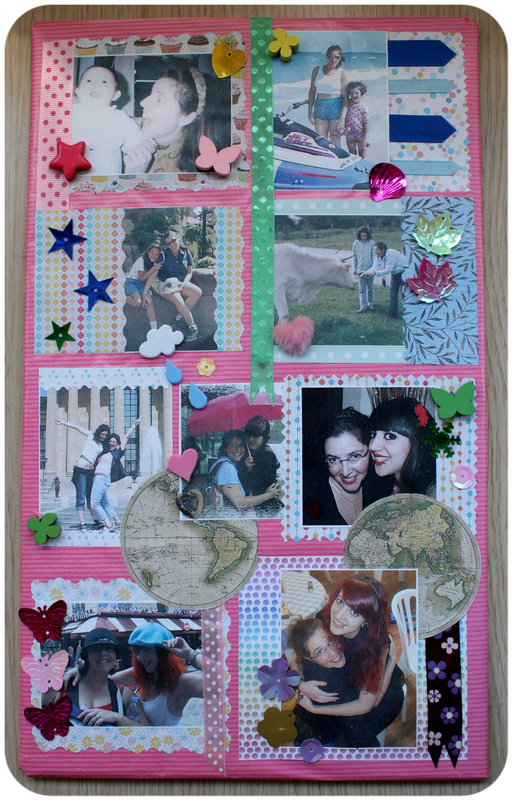 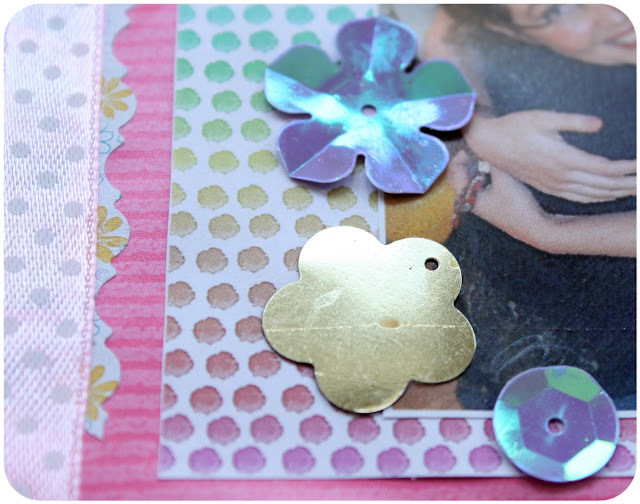 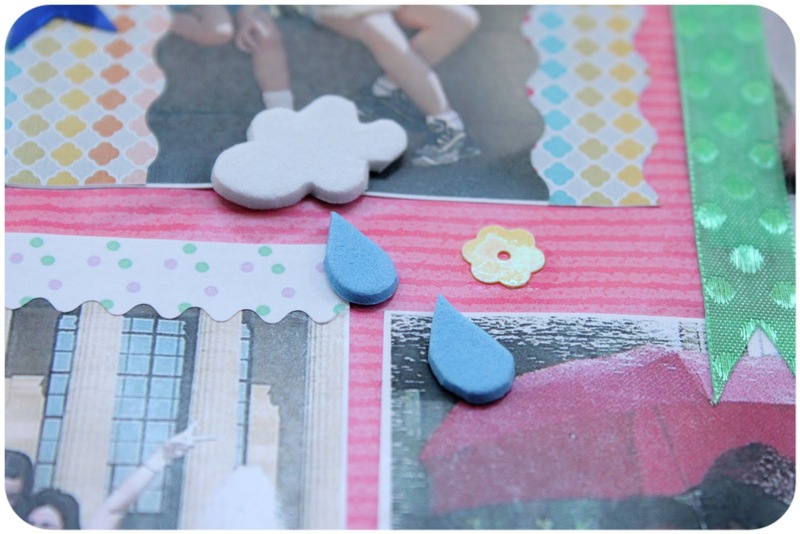 An easy scrapbooking composition made with a cardboard base covered with gift wrap. 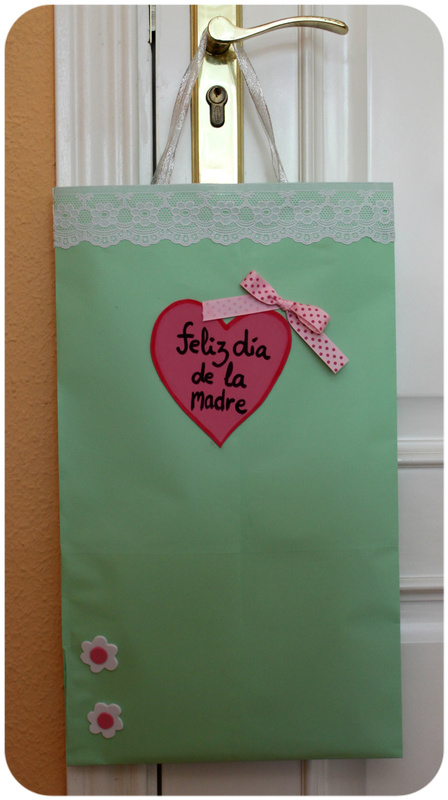 The bag is also handmade with colour papers. 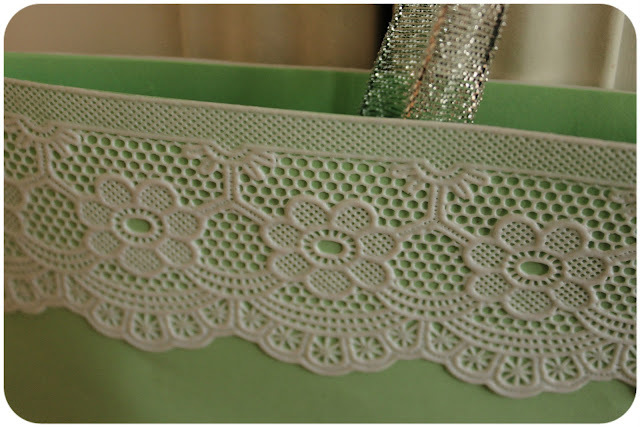 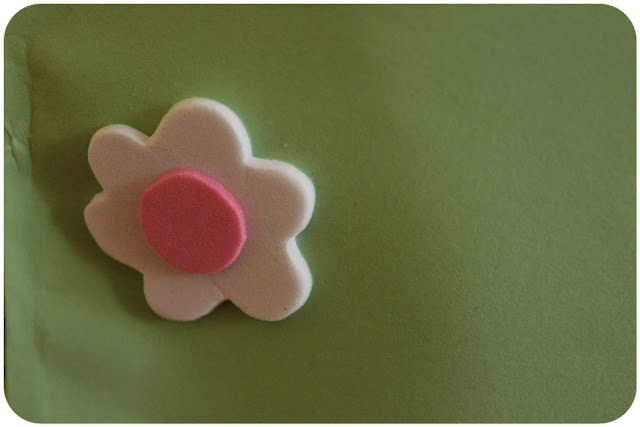 I used decorative ribbon for the handle and the bow, self stick lace and eva rubber for the embellishment.